The interior of the nose is a prime dwelling place for some forms of staph. 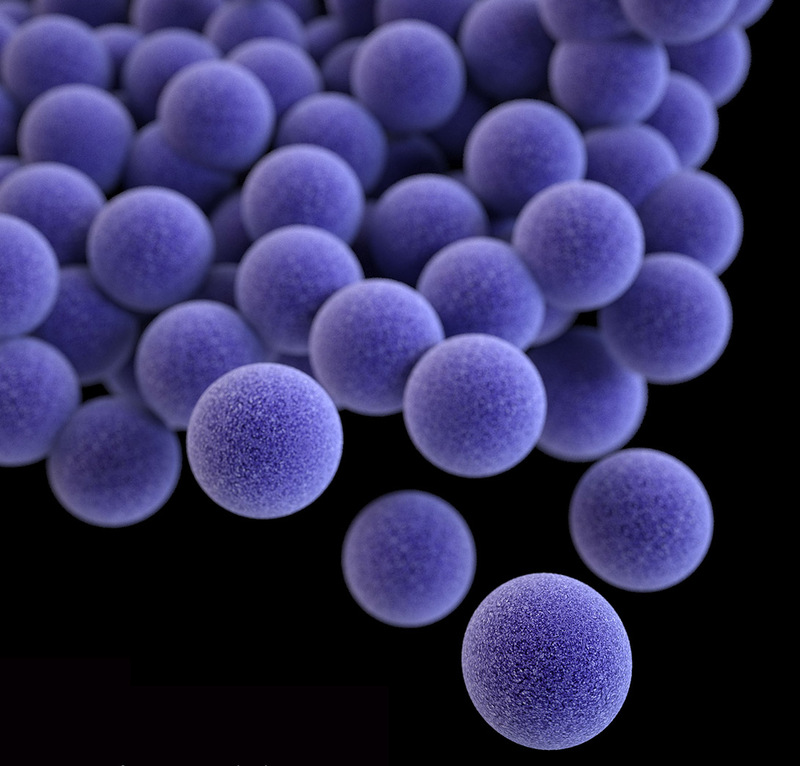 More than one-third of the population has a chronic presence of Staphylococcus aureus in their nostrils and sinuses. From there, it can get onto the hands and other skin areas. Like many bacteria, Staphylococcus aureus makes the enzyme nitric oxide synthase. In other living things that manufacture nitric oxide, the simple molecule controls many complex biological responses. In people for example, it mediates blood pressure, nerve signals and sexual arousal. “Much is known about nitric oxide in human physiology,” noted Dr. Ferric Fang, professor of laboratory medicine and microbiology at the University of Washington School of Medicine. The UW Medicine researcher added, however, that the effects of nitric oxide production in bacteria have been much less clear. Fang, along with Traci Kinkel, UW acting instructor of laboratory medicine, and a team of scientists, have been looking at this question. Their most recent findings on the essential role of the enzyme nitric oxide synthase in successful colonization by S. aureus are reported Nov. 28 in Nature Microbiology. This situation can arise when staph tries to take hold and multiply inside the nose. Mucus in the nose also limits the diffusion of oxygen. As oxygen becomes scarce, Kinkel said, the small amount of nitric oxide produced by the bacteria further restricts aerobic respiration in an effort to reduce oxygen use. This leads to the bacteria transitioning to nitrate consumption, or microaerobic respiration, to maintain energy in the low-oxygen environment. The researchers outlined the biochemical activities stemming from nitric oxide synthase production. These regulate the transport of electrons in the pathogen’s cell membrane, and thereby maintain energy from concentration gradients across the membrane. “We believe that this elegant mechanism is likely to represent the original, primordial function of enzymatic nitric oxide production in nature,” Fang said. The essential bacterial mechanism appears to be evolutionarily conserved in some types of cell receptor signaling in mammals. Also, the researchers said, in view of the many pathogenic and environmental bacteria that produce the enzyme nitric oxide synthase, and the ubiquity of low-oxygen environments in the natural world, this mechanism is likely to be a widespread bacterial response to limited oxygen. As a survival method, the mechanism may contribute to the virulence and staying power of the disease-inducing staphylococcus bacteria. It also appears to play a role in resistance to the antibiotic daptomycin, which targets the bacterial cell membrane. The research results suggest novel strategies for preventing staphylococcal infection by interfering with bacterial nitric oxide synthase. Seeking alternative staph-fighting approaches is especially important now that serious strains of the bacteria no longer respond readily to strong antibiotics. “Staphylococcus aureus colonizes an estimated two billion persons worldwide and has become a leading cause of skin, respiratory, and blood stream infections,” the researchers wrote. Deaths from methicillin-resistant S. aureus (MRSA) now exceed those caused by Human Immunodeficiency Virus (HIV) in the United States. The research reported in Nature Microbiology under the title, “An Essential Role for Bacterial Nitric Oxide Synthase in Staphylococcus aureus Electron Transfer and Colonization,” was supported by National Institute of Health grants AI44486, AI55396, and AI123124.